Google’s Nest thermostat has become a poster child for what a smart device should look like. It’s sleek, easy to use, and comes with enough learning algorithms and smartphone integration to help us tailor the user experience to our own liking. Google has also acquired the Nest team and tech alongside the thermostat and has expanded the platform to include a smoke and carbon monoxide detector (Nest Protect) and a smart cam (Nest Cam). The result is a growing series of smart devices that developers are lining up to work with. Keeping everything on one basic platform — including Nest devices — makes managing a smart home far easier and means less room for interference or communication issues. If you want smart devices that all speak the same language, Nest is a great place to start when making smart-home decisions. Google has already developed a Works with Nest website and logo to keep tabs on all the latest gadgets that are compatible with the Nest thermostat and other devices using Nest tech. For your convenience, however, we’ve outlined the entire list of smart tech below (weird names and all). See anything that you already use — or something new that catches your eye? Whirlpool washers and dryers: With smart Whirlpool appliances, you can download special cycle settings for washing sleeping bags and other unique items. The dryer can sync with Nest for longer, more energy-efficient cycles when you’re away from home. Rheem EcoNet: Using the Nest thermostat’s tracking features, Rheem can shut of its water heaters when you’re away from home. Heatworks: Like Rheem, Heatworks uses Nest to only heat water when you’re at home to use it. LG HomeChat: If you link your LG smart appliances with the Nest, they’ll know to shut down when you’re away. Evrythng: This B2B cloud platform is designed for both home and office smart systems, allowing you to save money and control Nest devices remotely. EPR WristTemp Pro: This turns your Android smartwatch into a control station for your Nest. Ooma Telo: Ooma is a smart connection between your home phone and internet that allows you to set up cheap VoIP services. Google: It’s no surprise that Google’s app and Google voice commands work with Nest. IFTTT: If This Then That is a popular, build-your-own smart system solution that includes support for all direct Nest devices (Thermostat, Cam, Protect, etc.). Stringify: Stringify specializes in setting up smart home “scenes” involving multiple factors and supports all Nest devices. Netvibes: Netvibes uses its own Dashboard of Things for setting up scenes. Marconelly Thermo Watch: This Apple Watch app lets you control your Nest devices from your wrist. Motorola Moto Loop: This family management app is designed for keeping track of both kids and smart devices at the same time. Roost: Roost is a Windows app that monitors your Nest devices when you are at your computer. Chargepoint: If you have this charger, you’ll see its electricity usage on your Nest Home Report. Automatic Control Panel: You can pair your Nest with Automatic’s car tracking, so devices will respond based on your car’s activity. Ray Super Remote: The Ray is a big, touchscreen remote can control your entertainment system and your Nest devices. 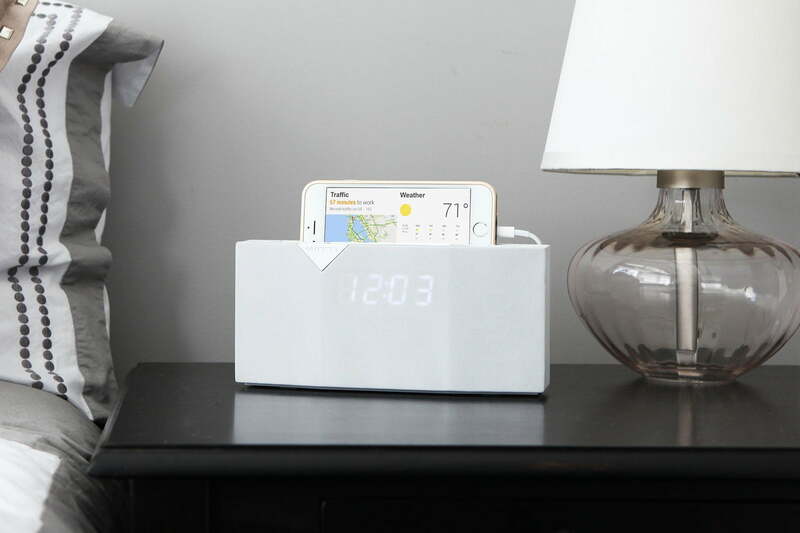 Witti Beddi: This smart alarm clock and sleep app can warm up your house for you when you wake up. Logitech Harmony Elite: This smart controller is a lot like the Ray remote but without a touchscreen. It still offers control over your Nest, however. Simple Control: Another universal remote, but it functions as an app instead of a separate device. Crestron: You can use the Crestron hub to control multiple Nest devices. Petnet Feeder: The Feeder works well with the Nest Cam to help monitor your pets and supply them with food when needed. Mimo Smart Baby Monitor: Mimo lets you monitor everything about your baby, including his or her breathing, temperature, sleep cycles, and other notable facets. Belkin WeMo: WeMo from Belkin lets you control switches and outlets in several ways and can talk to Nest devices for more complex scenes. Febreze Home: Use the smart air freshener only when your HVAC turns on, so it’s circulated throughout your house. LeakSmart: LeakSmart can use the Home/Away Assist feature on Nest products to shut off water and notify you in case of floods or leaks. Amazon Alexa: If you have an Amazon Echo or any other device that uses Alexa, it can also interact with Nest devices. iHome SmartPlug: The SmartPlug from iHome can use the Home/Away Nest info to automatically turn appliances on and off. Insteon: Insteon is a multi-service smart platform that includes support for many different devices, including Nest. Vivint: Vivint is another whole-house smart platform that offers plenty of functionality, though with a focus on security. Xfinity Home: If you’re already a fan of Xfinity services, you can adopt its smart home and security controls, which work with a number of brands. Simple Control Roomie Remote: This is a universal smart remote that’s based on an app and focused on entertainment and home appliances. Wink: Wink is yet another whole-house smart platform with support for many brands and a minimalist, millennial-friendly style. Control4: Control4 focuses primarily on offering a platform for smart entertainment, along with support for a number of other smart devices. Yonomi: Yonomi supports both smart devices and wearables and offers fairly easy scene creation. Elan controller: Elan is a high-end producer of more traditional smart home tech, with a focus on bringing new screens into your home as controllers for various devices. PromoSoft Calida: Calida allows you to customize various Android widgets to control basic smart home stuff, like the Nest’s temperature settings. RTI: RTI offers a full service smart home and business platform, one that focuses on careful scheduling and high-end customization. Deviate Thessa: Thessa is a Mac widget designed for controlling Nest devices, but it also works on iOS lock screens and the Apple Watch. MaaDoTaa QuickControl: QuickControl focuses on HVAC control through your smartphone’s Today screen (iOS only). AT&T Digital Life: Digital Life is a mobile app focused on AT&T’s security and monitoring solutions, along with Nest compatibility. Pebble Leaf: The Leaf smartwatch can control Nest thermostats. Withings alarm clock: With the ability to emit light, music, and temperature based on your sleep cycle, this clock is a great tool that’s designed to save you energy. Y Media Labs Kontrol: Kontrol lets you manage your Nest thermostat through your iPhone and Apple Watch, just in case you want yet another way to do that. Haiku ceiling fan: This fan can link with your Nest and work to automatically warm or cool your house as efficiently as possible. Keen Home smart vent: These vents can open and close according to Nest activity, thus helping balance the heating or cooling throughout your home. Nuheat Signature Thermostat: This is a touchscreen hub that essentially does what the Nest thermostat already does, which is kinda weird unless you combine it with Nuheat’s heated flooring. Simplehuman Sensor Mirror: This smart mirror lights up when you approach it. It has nothing to do with Nest, sure, but the app can also control Nest devices. Lifx: These are multi-colored, LED smart bulbs that can be programmed to dim or turn on based on Nest sensors and schedules. Lutron Caseta Wireless: Lutron’s platform focuses on blinds, outlets, and lights alongside Nest devices. Philips Hue Smart LED bulb: Another multi-colored smart bulb, though this one focuses on working with the Nest Cam and its detection sensors. Zuli smartplug: The Zuli smartplug app can control Nest devices, as well as appliances connected to the plug. Stack Lighting: Stack’s lights can dim and brighten in response to your habits, much like the Nest thermostat controls temperature. It’s smart to have the two work together. Osram Lightify: Osram has a series of smart bulbs for various purposes but doesn’t mind if you use its platform to control Nest devices too. Yale Linus: Yale’s oddly named device is a smart lock that can provide you with updates and info via the Nest app. August Smart Lock: August makes some of the best and most user-friendly smart locks currently available, and now they work with the Nest Cam so you can spy on guests. Skybell HD: SkyBell is a smart lock-cam combo, and like August, the device’s Nest compatibility gives you the ability to record people at your door and in your house. Sage by Hughes: Sage is a security hub and platform that can utilize Nest devices and sensors, thus allowing for scene building and a complete security setup. Chamberlain MyQ Home Control: Chamberlain’s platform is focused on garage door controls, but it can also handle Nest devices. Get Safe: GetSafe provides a series of sensors to set up around your home and also controls Nest devices. Kevo: This smart door lock has a fun feature: It can tell who’s coming home and set the temperature to what they prefer. SimpliSafe: This security platform can use Nest devices and sensors to help control your energy usage. ADT Pulse: Pulse is an ADT smart security product that works with Nest, one that even includes a free Nest thermostat if you sign up for the service. Scout Alarm: The Scout Alarm can sound off if Nest Protect detects a problem. Plus, it can sync your Nest thermostat performance to an array of security modes. Myfox: Myfox has a home alarm designed to pick up vibrations, and the official app works with all Nest devices. Verisure Alarm System: This alarm platform can talk to Nest, allows for setting Nest scenes, and even lets you look up Nest info via an app. TrackR: Tags are designed to help you keep track of important stuff and people. The TrackR does just that and uses Nest to detect when tagged items are safely returned home. Sen.se: Sen.se might disregard where periods should go, but the company offers a network of motion sensors that are designed for parents who are looking to monitor their kids’ sleep cycles. It can also tap into Nest’s auto-learning capabilities. GreenIQ: This smart platform monitors the weather and controls your sprinklers, while simultaneously keeping an eye on Nest Protect and running sprinklers if it looks like there’s a fire. Skydrop: Skydrop controls your sprinklers and will set them off if Protect detects a fire, just like GreenIQ. Rachio Smart Sprinkler Controller: Rachio also controls your sprinklers and turns them on in case of a fire. It does offer a bit more advanced scheduling in some areas, though. Hayward Omnilogic: Hayward’s device is a broader platform designed to integrate with all backyard features — lights, pools, sprinklers, alarms, etc. — and a host of brands, Nest included.